After attending three food-tasting sessions with dining vendors competing to serve Yale-NUS College, Kwok Yingchen ’18 was not feeling optimistic. The student representative on the Dining Advisory Committee (DAC) had felt the food was either “pretty unhealthy” or of such high quality that it could not be sustained daily. Then they went for a tasting session by SATS Ltd. It had a vegan breakfast option the school had requested: sautéed mushrooms, kidney bean chili, grilled baby potatoes, and lettuce and tomato wrap in hummus. 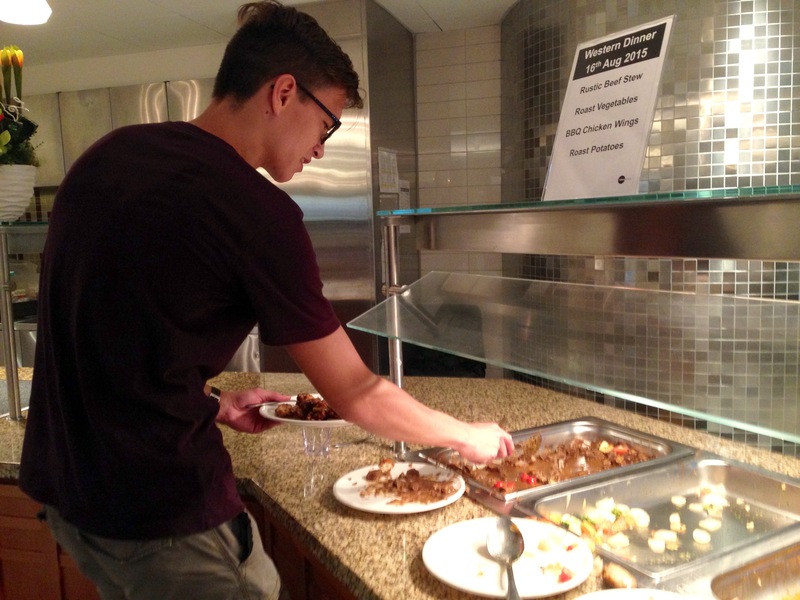 Kwok, conscious of students’ requests for healthier food and vegan or vegetarian options, was won over. “We felt that this was an indication that SATS would be a lot more willing to listen to student feedback,” they said, as the school had asked the four bidding vendors to showcase a vegan breakfast option, among other requests. But SATS was the only vendor who did this, said Kwok. The Singaporean company started in 1972 providing airline catering and ground-handling services, and has since branched out internationally. It caters food for the Singapore Armed Forces and some local hospitals, and moved into the education sector last year serving International Singapore School. SATS was the overwhelming favourite among the DAC, with members citing SATS’ responsiveness and the variety and quality of food. It was awarded the contract in May, and will serve 19 meals per week in Saga and Elm Dining Halls, and in Cendana when it opens, likely next academic year. This will be for at least two years, with the option of renewal for a year. SATS began serving food on July 25. Food is served self-service buffet-style and diners can go back for more helpings. The search for a dining vendor for the new campus began last June as staff visited various caterers to get a sense of the possibilities, said Student Life Manager Chris O’Connell. Student representatives joined the DAC in January and surveyed students’ hopes for dining. The DAC wanted a dining vendor that provided healthier options and accommodated diverse dietary needs. But most important was a vendor that would be responsive to feedback and understand that the dining hall is the “heart of the residential college,” said Mr. O’Connell. “It’s about maximizing your time in the dining hall” through offering additional helpings, good food and staff who are flexible, they said. “We understand that dining [here] should be an interactive experience, where you are not only here to enjoy your meal but to interact with your peers and faculty,” added SATS Vice-President of Commercial Catering Alan Tay. SATS Unit Manager of the Yale-NUS dining hall Miss Tan Chin Wan hoped students would enjoy the food and engage with familiar faces on the staff “like a family”. “[We hope to] continue to impress in a sustainable way, as it is important that this be a long-lasting collaboration,” said Mr. Tay. The company also controls wastage by studying what food is less popular to better plan the menu. Leftovers and plate wastage is weighed daily, and the vendor has plans to explore food composting in the future, if there is enough wastage. SATS encouraged feedback from diners about food preferences and avenues for improvement. In response to feedback, they recently organised vegetarian dishes in a distinct section. After observing long queues, they separated Asian and Western cuisine into sections to smooth traffic flow, said Mr Tay. Plans are ongoing for a formal feedback mechanism where student representatives meet regularly with SATS, said Mr. O’Connell.